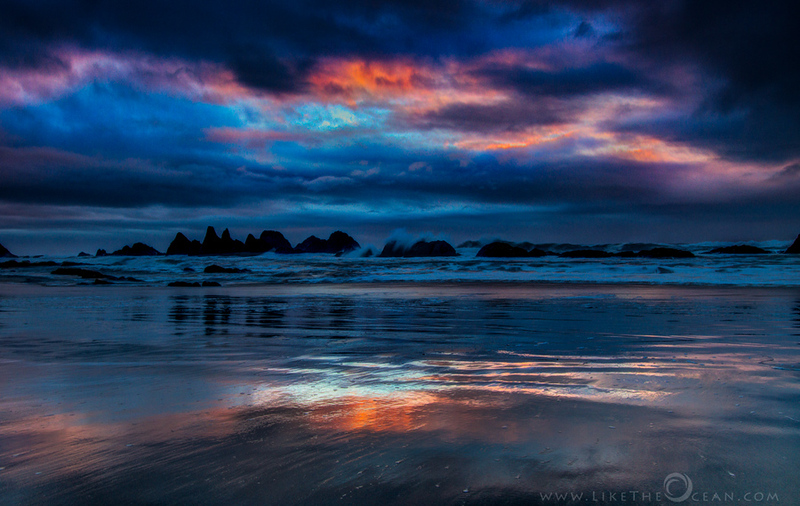 Eve of the new year – It was a lovely drive back from Bandon to Portland – right along the Pacific coast 101. When it was not raining , it was out right overcast and or misty, giving a dreamy feel to the drive. We never thought there would be any chance of enjoying a sunset on such a day. But as always, things are not what they seem … Just around 4 PM, the entire mood started to change. The clouds started to roll over & break out – to create a euphoria of colors. As the sun set here, behind the pacific northwest, it was indeed kicking off the new year in the other side of the world – sounds funny right :) I present to you the last rays of 2012 !